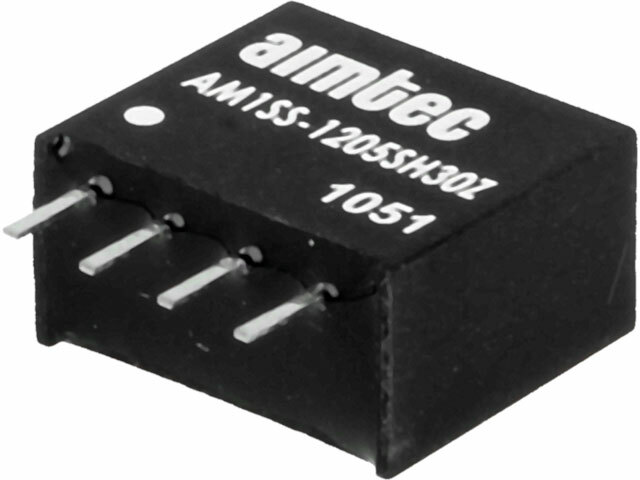 AM1SS-Z is a series of 1W DC/DC converters from AIMTEC for soldering on PCB boards. Main features of AM1SS-Z converters: - continuous short circuit protection, - high efficiency – up to 81%, - wide operating temperature range from -40 to +85°C. Available with input/output insulation of 1000 or 3000 VDC.